Let’s Talk Scientology! — The Podcast | Flourish and Prosper! Hello and welcome to the podcast — Let's Talk Scientology! 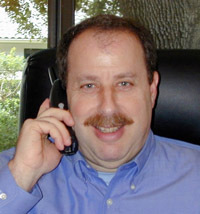 I'm Stan Dubin​ and I've been an Scientologist for over 30 years. I use Scientology in many areas of my life: my marriage, bringing up a wonderful daughter, personal relationships and at work. I created this podcast to give you an idea of what Scientology can do from the perspective of one Scientologist: me. As I indicate in each podcast, the best way to find out about Scientology is to go to: Scientology.org. There's a wealth of information there. If you're new to the podcast, give the first show a listen. To subscribe via iTunes, go to ThePodcast.us​. If you need any help subscribing, this web page explains how to do it.